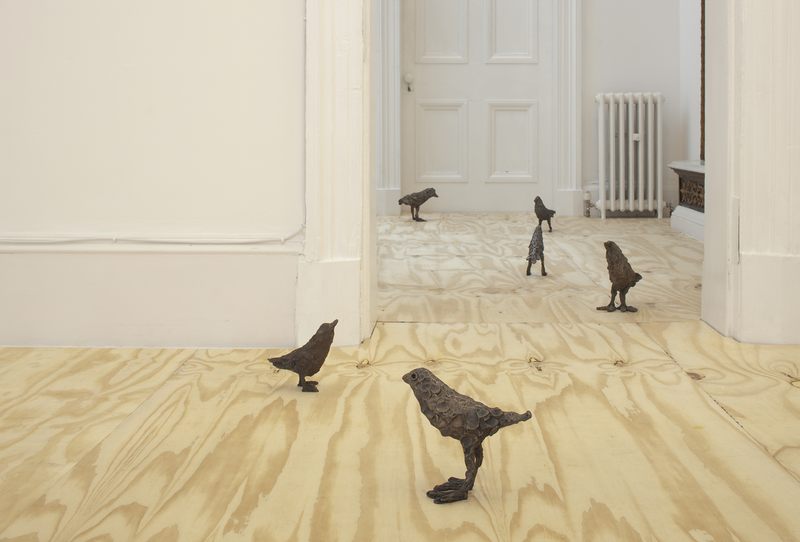 ‘primitive’ is the first exhibition in Scotland of the work of the remarkable Swiss artist Ugo Rondinone. 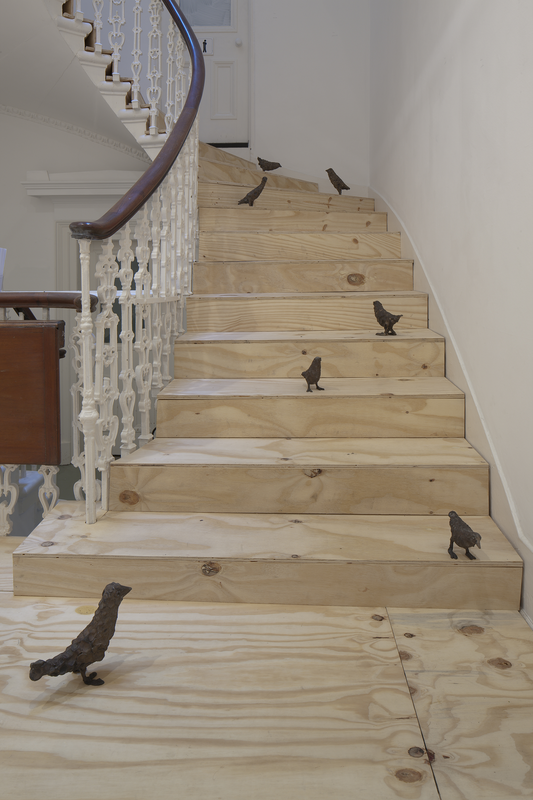 Featuring a group of recent works in a new and precisely conceived installation, the exhibition included a large group of bronze bird sculptures, filling the building with an almost threatening persistence. 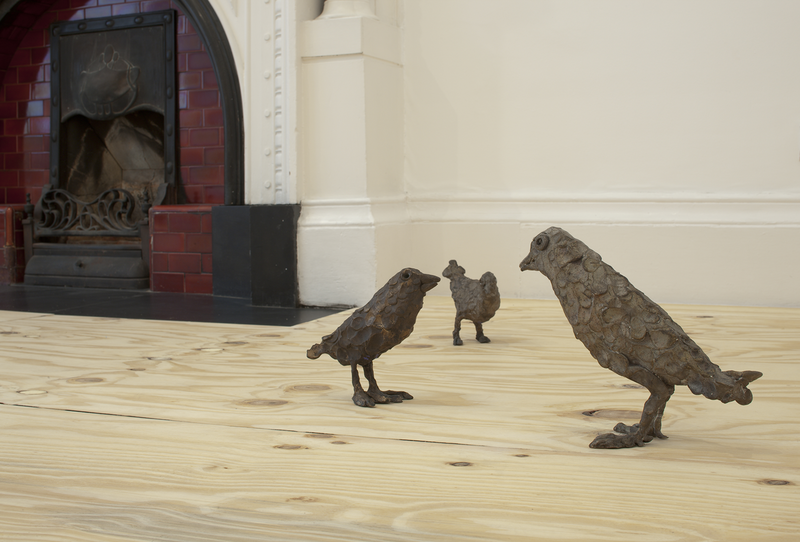 Imposing in number if not in scale, these modest little birds, so clearly and simply hand-made, were named after vast natural phenomena: from ‘the sun’ and ‘the moon’ to ‘the universe’ and ‘the atmosphere’ – referencing the natural world beyond the gallery. 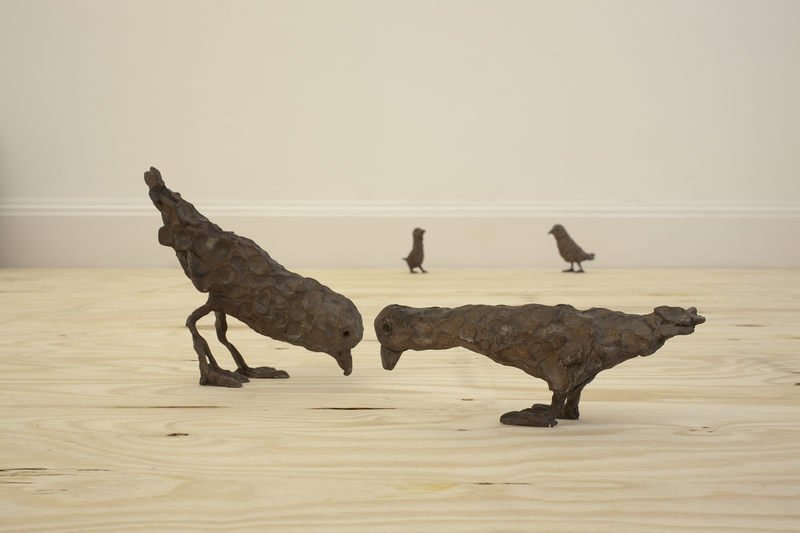 Rondinone first came to international attention in the early 1990s with installations that involved a striking diversity of forms. His exhibitions might include India ink landscapes in the Romantic tradition, or mesmerising target paintings that recall the trance-inducing images of 1960s psychedelia. He combines works with an up-beat, pop sensibility with others that reflect a mood of longing and disconnection, from photographs of a man and a woman who never meet to melancholy images of clowns slumped on floors. His works often have a strong sense of time being suspended, and reflect on the conflict between reality and a world of mirrors, dreams and artifice. 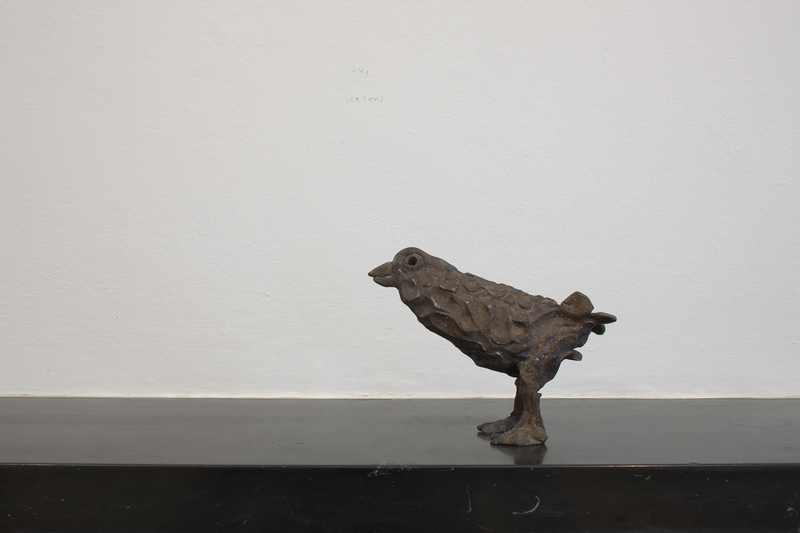 Courtesy of the artist and Galerie Eva Presenhuber, Zurich.